That's nice. We need to follow these instructions whereever we are. @web-oj: well following instructions is one thing, and completely valid in case of keeping places clean etc, but i found the "it all leads to god" part funny. 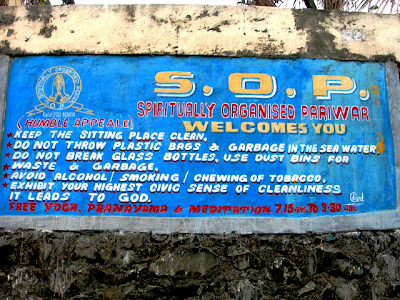 and also, don't you think "spiritually organised parivar" is a rather unusual name?